A number of trams from a "world renowned" collection have been severely damaged by an outbreak of mould. 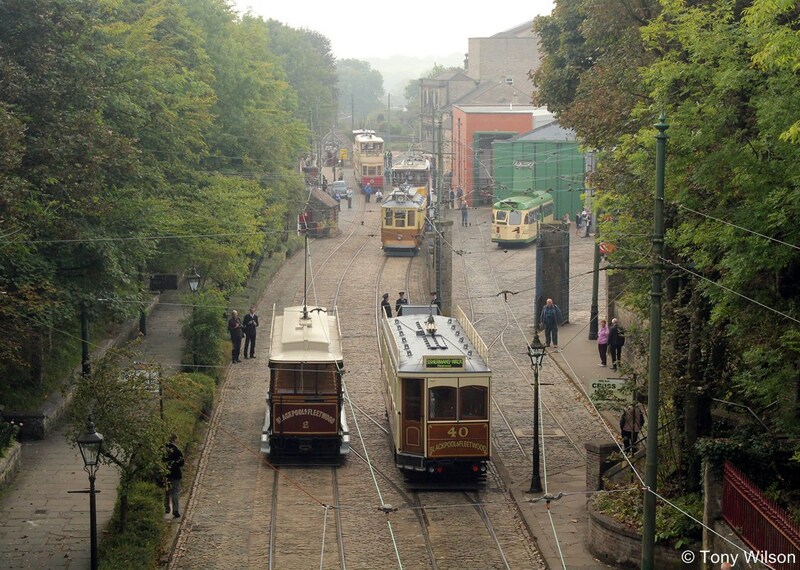 Crich Tramway Village, which is home to the country's biggest collection of trams, said the damage was caused by insulation problems at their depot. Museum bosses said the outbreak of mould was "heartbreaking and devastating". The Derbyshire-based attraction said it needed to raise £200,000 to carry out improvements to the depot. It's thought about "five or six" trams need attention following the winter mould. Bosses at the museum, which reopens to the public at the weekend, said they believed the mould had affected the trams because there had been a warm and damp winter and moisture had got into the depot. "Personally it makes me want to cry," Neil White from Crich Tramway Village said. "We spend anything up to half a million pounds restoring something and then we put it away in conditions that you wouldn't want to. "You say each vintage tram is worth like three vintage Ferraris, you wouldn't just spend your money on that and store them in the conditions that we have so far." The museum was awarded £100,000 earlier this year by the government towards the cost of insulating the depot, which houses the trams, some dating back to the late 1800s. It's thought they will need a further £200,000 to fully upgrade the 1960s building.